A few weeks ago, I attended the opening reception of a 3D printed jewelry exhibition at Pratt Institute in Brooklyn, NY. 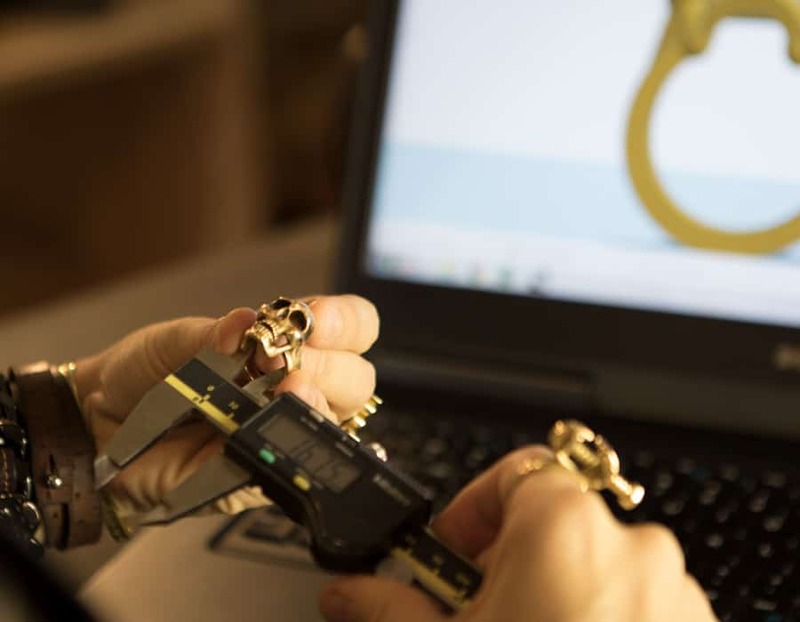 I interviewed curator and 3D printing jewelry modeler, Lizz (Hill) Wiker who is currently the Director at Tapestry, Inc parent company of Coach, Kate Spade, andStuart Weitzman. Wiker oversees the team that is responsible for the technical design and 3D prototyping of hardware and jewelry for the Tapestry brands. Tell us a little bit about yourself and how you got started with material development and 3D Modeling. My first job out of college was as a product developer for a TINY company with big name clients. I learned the ins and outs of the fashion industry in terms of how product is taken from design, to sampling, into production and then imported into the US and other destinations. I was able to work with such a wide variety of products across a broad range of companies at every price point, from Payless Shoe Source up to Oscar de la Renta! During this time, I was able to get a sense of the various types of specializations in the industry and found that I had a knack and love for hardware design and development. I wanted to hone my hardware developments skills further and was thrilled when I landed my dream job at Coach as a Hardware Developer, on the materials team. I spent almost 4 years as a collection dedicated Hardware Developer, and was traveling abroad for work a lot, getting an invaluable lesson in hardware manufacturing. I was lucky enough, during this time, to be exposed to 3D printing which was utilized in a very small way at Coach, facilitating in the design and early development process. I can remember the first time that I saw someone working in Rhino 3D. He was 3D modeling a buckle and as soon as I saw his work onscreen, in a 3D interface, I knew that THAT was what I wanted to do and that’s when the hard work really began! I took an multi-day course in Rhino 3D and then spent the next year, teaching myself to model hardware in Rhino, while holding down my full-time job as a hardware developer. It was a struggle at first because I knew I had to start using 3D modeling in my day-to-day work if I was going to successfully make a shift over to a full-time role as a 3D modeler but I had to get proficient enough to use it at work in order to create the complex geometries that I would need to model however I didn’t have enough time during my work day to practice so I’d spend all of my outside hours, training myself, getting faster and better each time at tackling challenging modeling projects. What has been a challenge you’ve had to face with 3D Modeling? The biggest challenge has been getting various partners on-board with working in a different way; one that utilizes 3D design. 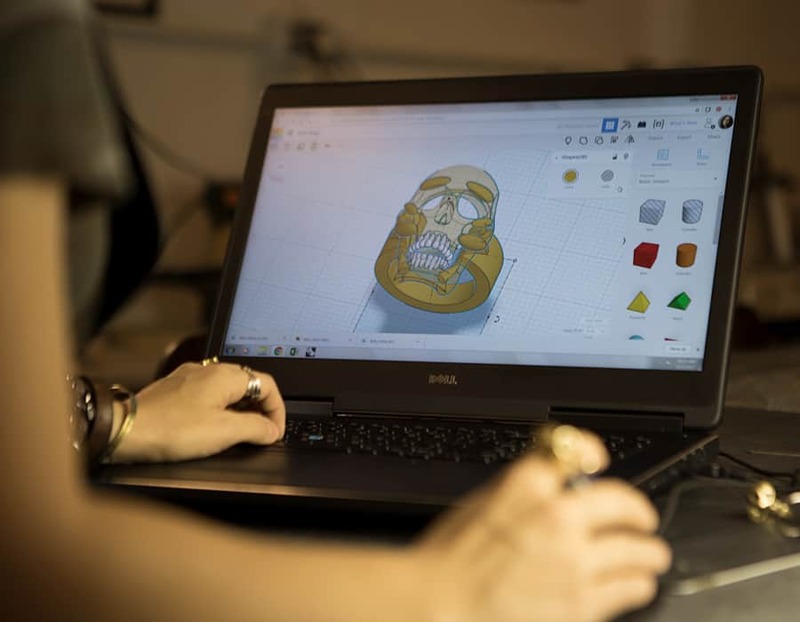 Whether it be a designer, a product developer or a factory, working with 3D files and prints in place of sketches and samples requires a different approach to the iterative design process. Fortunately however, after one or two projects using 3D prototypes, the technology really sells itself. There is a little convincing I have to do once they see how simple, fast and efficient the communication and sampling processes can be when you’re leveraging 3D tech. You were a manager and then a senior manager at Coach for 9 years. Tell us about your experience and what you learned from your time there? I feel incredibly lucky to have worked for a company like Coach, during what was a time of tremendous change and transition for the brand and for the 3D printing industry itself. As I was training myself in 3D modeling, the 3D printing industry was starting to make a major splash from the point of the consumer. You see, while 3D printing has been a technology under slow development since the late 1980’s, it wasn’t until the invention of the desktop FDM 3D printer that consumers were aware of the technology. It wasn’t an accessible technology until around 2010, due in part to the commercially available Makerbot FDM printer. And while Makerbot is no longer considered a leader in the sector, there have been hundreds of new printers to hit the consumer market since then, which has also caused the older, larger companies, producing commercial printers improve upon decades old technology to keep up with a new, and rapidly shifting 3D industry. At the same time, the term “3D printing” was making headlines and popping up in schools, maker spaces and conventions, the Coach brand was beginning to evolve as well. We hired a new creative director who has since spent the last 5 years giving the brand a complete overhaul, and a healthy dose of fashion credibility! With the new direction has come new, and younger talent who have been more open to the use of 3D tech within their design process. In the past 5 years we have also acquired two additional brands; Stuart Weitzman and Kate Spade, both of which are poised to benefit from the use of 3D tech which has made my role especially exciting as the opportunities for myself and my team have grown too by taking on the additional brands. I have learned in the past 5 years that jumping into an emerging and new field (3D) within the fashion industry was the best move I could have made for myself professionally as I am now at the forefront of 3D tech within fashion. These shots are from Craftsman Ave, where she teaches an Intro to 3D Modeling class, using Tinkercad, which is a simple, free software. Click here to learn more information on the workshop. Tell us about the tools and machines used for 3D Modeling. There are few industries that can’t benefit from the recent development of 3D technology. Whether you’re on the prototyping or manufacturing end, there are modeling software and printing technologies and materials that are specifically suited for each industries needs. While fashion has not (yet) been a major target of 3D tech companies, there are some key software and printers out there which have become common place for fashion and related industries like athletics and jewelry. Rhino 3D is a software used heavily by jewelers though many benefit from the use of plug-ins like Rhino Gold and Clayoo which offer more specified tools for designing jewelry. I use Rhino with both Clayoo and Tsplines plug-ins for modeling and I do my rendering in Keyshot. I also dabble in Fusion 360, a parametric, solid modeling softare more suited for engineering and have enjoyed playing around in Tinkercad which is an incredibly primitive modeling software but is great for a total beginner to get a feel for working in a 3D software. 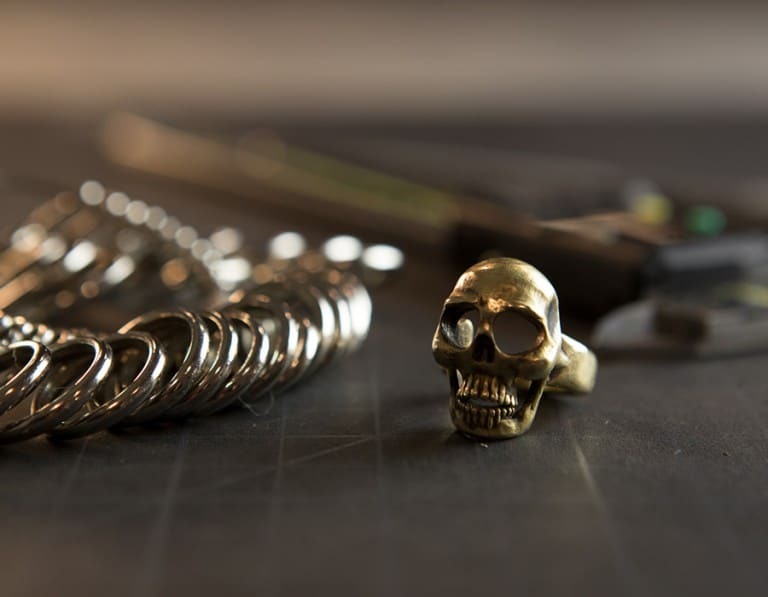 I teach an Intro to 3D Modeling workshop which uses Tinkercad to create some surprisingly intricate jewelry designs and love that there is a software that is free and can be taught in a matter of hours. In terms of 3D printing, while I have a Makerbot FDM printer at home and have access to both Formlabs Form 2 and 3D Systems Projet, SLA printers at work, I rely heavily on the use of online 3D printing services, such Shapeways.com to fabricate my personal work. Using this service, I can focus on the design and modeling part and let others do the printing, casting and finishing for my designs. What is the process like for 3D Modeling? The stages it goes through, duration of time, etc. The 3D modeling process always begins with a design concept, whether it be a client’s, or my own. From there, there is a planning stage that happens to determine the method and appropriate software(s) to be used to execute the design. The 3D modeling time itself can vary pretty dramatically depending on the design itself but it’s fair to say that the majority of the type of designs that I 3D model can span from 3-10 hours. Like any product design, a sample is usually created before moving forward with production and it’s no different with a design created digitally. However, the beauty of using 3D printing is that you can 3D print your sample in a prototyping plastic before moving into bulk production in actual material, which in my case is almost always metal. 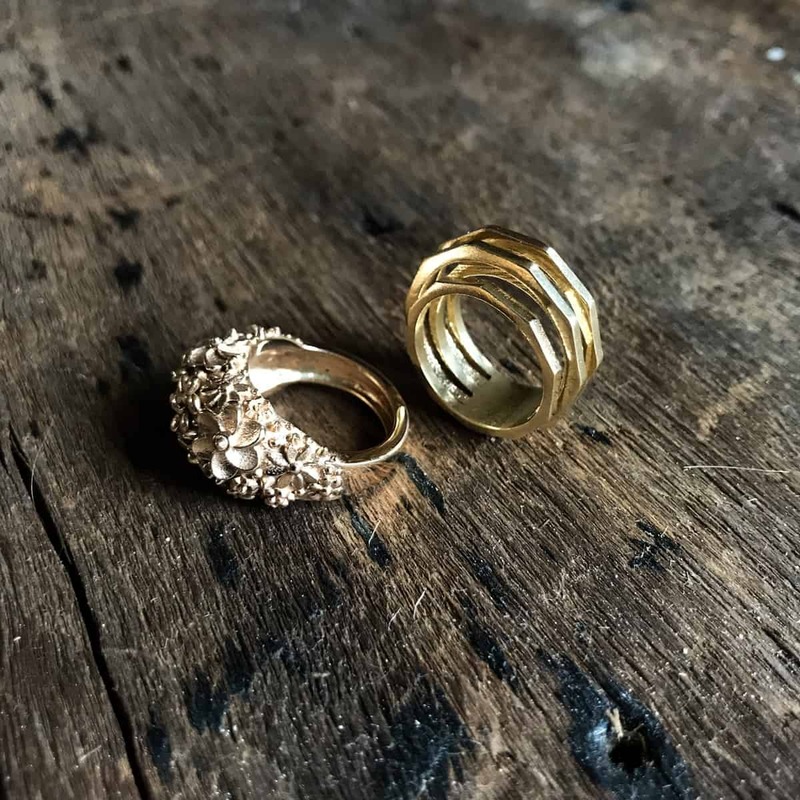 The 3D printing process can also vary but for hardware and jewelry items, tends to be anywhere from 4-24 hrs, depending on the size and the printer that is printing the part. You can see immediately, how beneficial a 3D workflow can be to a traditional design and sampling process. If I was working in an older method, without the use of 3D printing, I’d rely on traditional methods of designing, such as wax carving by hand and traditional casting and finishing methods, adding days and weeks onto my design/development timeline. With the use of 3D tech, I can go from idea to finished prototypes in 1-2 days and can have production made within a matter of a couple of weeks. What do you do now as the 3D Product Development Team Director at Tapestry? My role has remained much the same as it was when I was overseeing a smaller team, as a Senior Manager for Coach. The key differences are that I now oversee a team that works with three brands instead of just one and the breadth of product category that we cover is quickly expanding though our key focus is still on hardware components and jewelry. As my team has grown, my time working as a functional 3D modeler has decreased. However, the problem-solving challenges that our team faces on a daily basis has only grown with the breadth of our “customer” base so the technical challenges and teaching opportunities have increased. It’s been incredibly rewarding watching my team grow and their talent and technical ability grow with it. 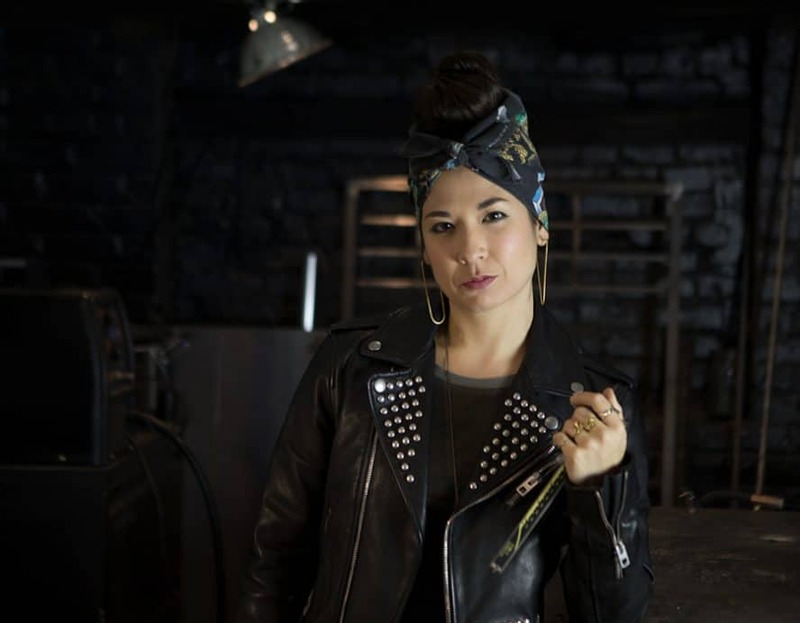 To learn more about Lizz Wiker, check out her Instagram and her website. 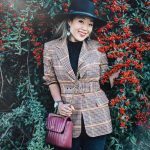 Grace Lee is a fashion and travel content creator for Gracefullee Made and Social Media Manager for Fashion Mingle. Grace Lee is Fashion Mingle's Social Media Manager and a fashion and travel content creator for her blog Gracefullee Made. Curator and founder of the personal style blog, Gracefullee Made. She is an experienced collaborator with brands such as Bath & Body Works, Belk, American Eagle, TOBI, LuLu*s,Daniel Wellington, ShopBop, Henri Bendel, Pottery Barn, EF ILC, Almay, Sephora Collection,Dunkin' Donuts, Coach, Venus ET Fleur, Kate Spade New York, Fossil, boohoo, VeraBradley, Office Max, Banana Republic, and more.